Mykonos and Naxos are connected with frequent ferry itineraries during the summer season. The distance between the two islands is approximately 21 nautical miles and the journey has an average duration of 1 hour, which mainly depends on the ferry operator and the weather. An average ticket price of the ferry connecting Mykonos to Naxos is less than € 50. How long is the ferry ride from Mykonos to Naxos? 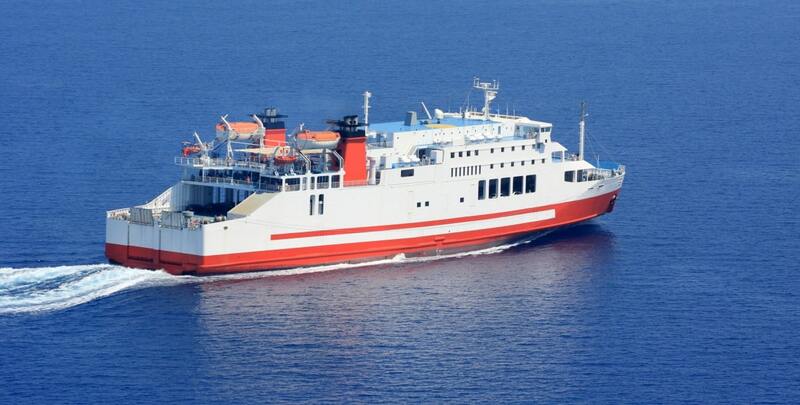 The journey between Mykonos and Naxos takes from 40 minutes to 1h 20 minutes, depending on the ferry operator. During the high season there are many ferry boats serving this route and there is a great variety of itineraries. Ferry tickets from Mykonos to Naxos cost from 20 to 40 euros, depending on the ferry operator. Concerning the vehicles, a car ticket costs around 35 euros and the average ticket for motorbike is 15 euros. The distance between Mykonos and Naxos is about 39 km or 21 nautical miles. How frequent are ferries from Mykonos to Naxos? You can always find a ferry to take you from Mykonos to Naxos at any time, as schedules are performed on a daily basis. In high-season, there will be at least 3 ferries per day departing during morning and afternoon hours. During winter months where traffic on Mykonos island is substantially lower, only one or two ferries operate on a daily basis on this crossing. Which port of Mykonos do I depart from? Mykonos has two ports, the "Old" and the "New" port, located approximately 1 kilometer from each other. However, the old one is currently reserved for smaller ferries, while all the rest (large conventional ferries and large catamarans) arrive at the new port. A rule of thumb would be: "If your ferry carries cars, then it uses the New Port". However, as this may be subject to change (even last minute change e.g. bad weather conditions), we suggest that you contact the local agent or the port authorities in order to confirm the port of your arrival. Both ports of Mykonos get really crowded during high season. Make sure to arrive there at least one hour prior to your scheduled departure. If you visit Mykonos only for a day or two, be sure to enjoy at least one night out. Mykonos is renowned for its nightlife. If you are visiting for more days and you do not want to spend a fortune on accommodations, you should definitely book a place to stay as early as possible; at least 4-5 months in advance. Tickets to Naxos always sell out fast during high-season. If you are planning to take a ferry from Mykonos to Naxos on late July or August, make sure to book your tickets well in advance. There are many islands close to Mykonos that you may want to visit, like Tinos, Paros, Ios and Sanotirni. Island hopping around Mykonos is the best! Check our Ferry Map to discover nearby islands.